Rescuing animals is always a team effort, and here in Sonoma County we are surrounded by some commendable organizations! One of the challenges we encounter trying to rescue animals is covering all of our expenses. Luckily we receive adoption fees that help us support our cause. However, some nonprofit animal organizations survive on donations only and often struggle to stay afloat. We are very proud to work with two such groups, The Josie Memorial Pet Project and Pets are Loving Support (PALS). Both organizations support the efforts of animal rescue and we are very proud to provide them with much needed financial assistance. 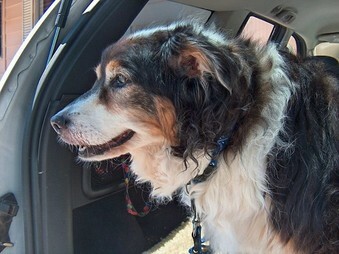 Josie, the inspiration behind the Josie Memorial Pet Project. The Josie Memorial Pet Project is a nonprofit corporation producing pet-related products for donation to animal shelters and rescue groups serving animals in need. They are located in Sonoma County, California. The products they produce are provided free of charge to the receiving organizations. They are also involved in trap-neuter-return, feral cat caretaking, community outreach and education, and animal rescue efforts in our community. 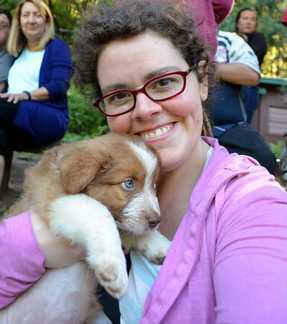 This small organization supports animal rescue by creating comfort for homeless pets. They generate no revenue from their efforts and operate on private donations only. ​In 2017 Dogma Animal Rescue has committed $1,000 toward the efforts of The Josie Memorial Pet Project. 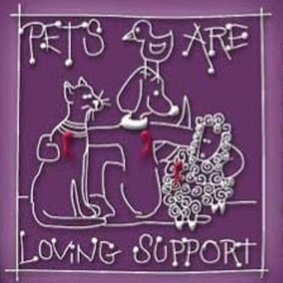 Pets Are Loving Support is a non-profit agency organized to improve the quality of life of people with AIDS by preserving and promoting the human/animal bond through the care and maintenance of their animal companions. They are located in Sonoma County, California. PALS actively engages in outreach to educate the HIV community and alert potential clients of their services; provides referrals to individuals and clients for services; and they work closely with other agencies who might serve their clients such as Face to Face and The Network, both of which are in in Sonoma County, California. PALS helps people with AIDS keep their companion animals for as long as possible. They generate no revenue and are entirely funded from private donations. The PALS program enables people with AIDS to keep and care for their animal companions and to enjoy their company and enables people with AIDS to continue to enjoy the medical and emotional benefits that their animal companions provide. They also provide immediate assistance to clients upon registration; provide volunteers to exercise animals for clients whose health prevents it; and provides cage tank and litter box cleaning and other hygienic assistance for clients whose health requires it. Additionally, volunteers regularly deliver free pet food for clients with limited mobility; provide foster care and adoption services for their clients' animals when necessary; coordinate visits to the veterinarian and vaccination clinics; provide transportation for pets of clients with limited mobility; and arranges discounted veterinary services for their clients' animals. In 2017 Dogma Animal Rescue has committed $4,000 toward the efforts of Pets Are Loving Support.